Enjoy the sound of the sea at home with a buoy bell. Each bell is carefully made to recreate the distinctive chime from various buoy bell locations along both coasts. 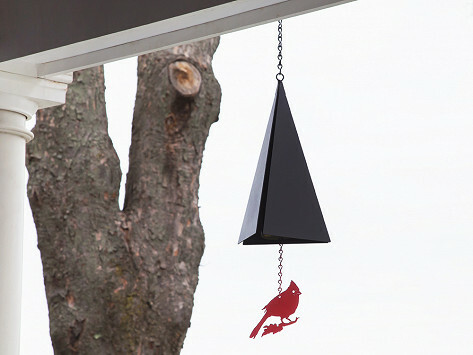 The bells are made in Maine from recycled steel and built to last for at least 20 years of sea-inspired sound. Dimensions: Varies from 8" x 5" x 5" to 18" x 11" x 11"
Weight: Varies from 2.1 lbs. to 11.05 lbs. 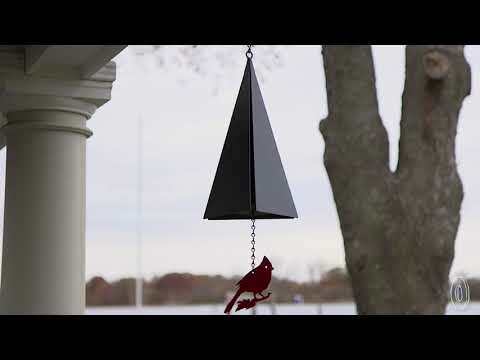 We love the sound of the harbor bell. Can’t wait until the weather is warm enough to sit outside and enjoy it!